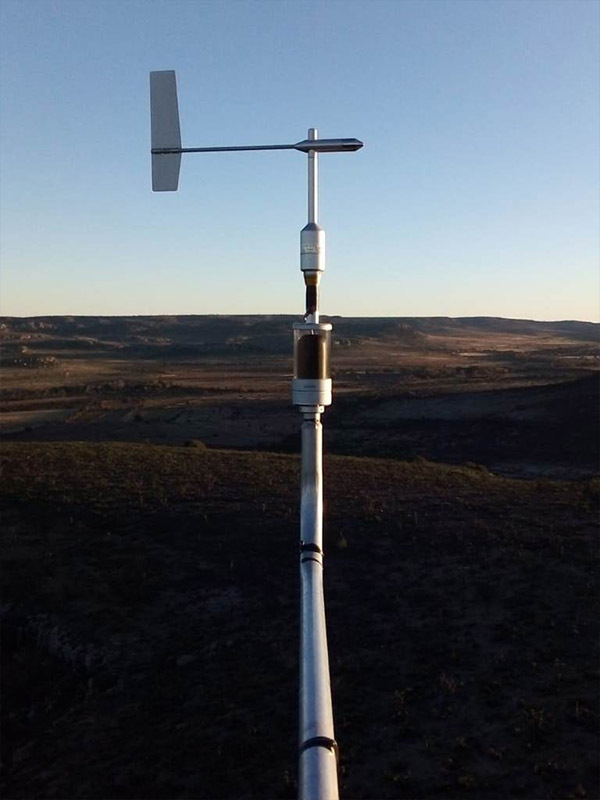 A patented invention that finally solves the inherent uncertainties in wind direction measurements. 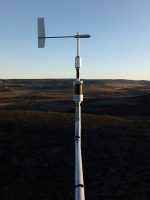 By adding a Geovane to your wind measurement campaign configuration you will get the most accurate wind direction data available on the market today. Guaranteed! 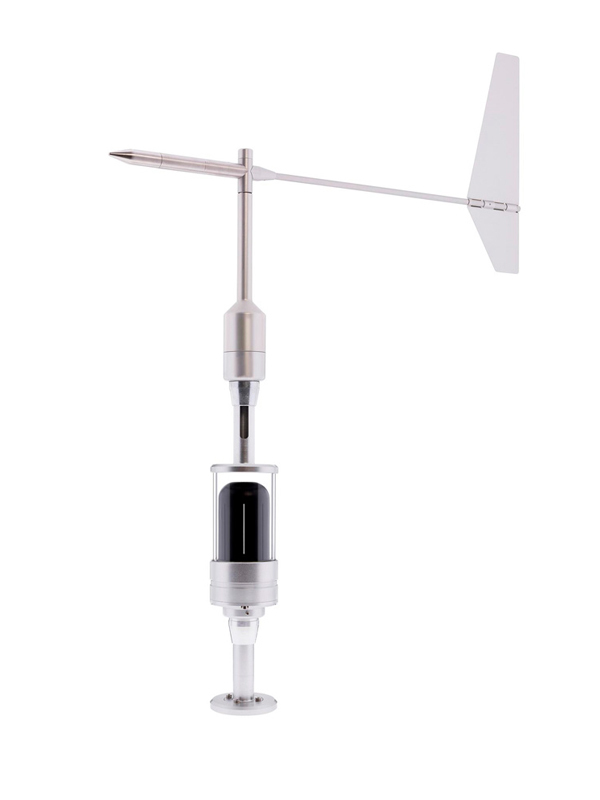 A patented invention that finally solves the inherent uncertainties in wind direction measurements. Given the impact incorrect wind direction measurements have, the updated IEC-61400.12.1 (2017) now requires complete assessment of wind direction measurement uncertainties. The Geovane enables you to do exactly that! 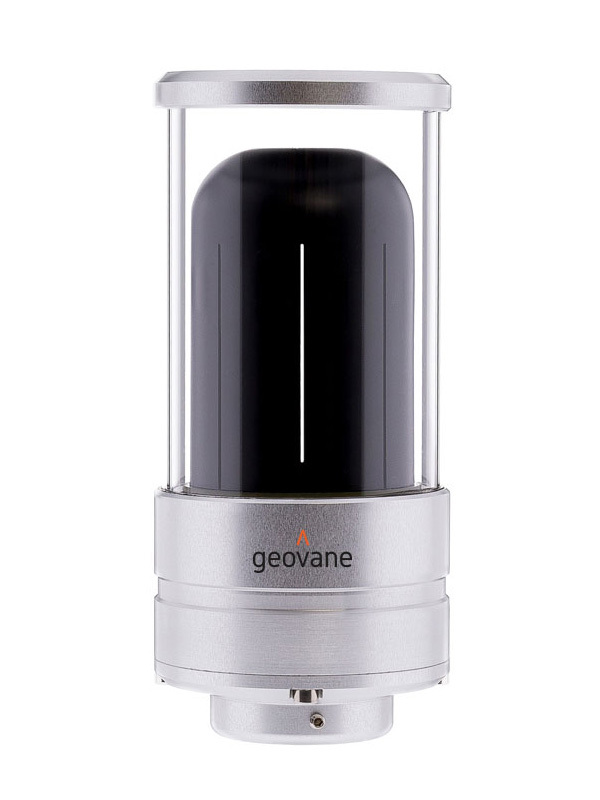 Being equipped with high-resolution optoelectronic sensors, composed of 1024 photo sensing pixels, the Geovane uses the Sun to measure the True North offset of sensor coupled to it, resulting in more accurate direction measurements than ever possible before. The True North wind vane offset is obtained by comparing the theoretical solar azimuth angle calculated by the Geovane’s embedded processing unit with the observed azimuth value read by its built-in photo sensing pixels. The Geovane offers three type of outputs: frequency, analog voltage and digital over a RS-485 serial interface. 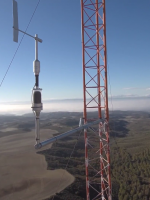 By adding a Geovane to your wind measurement campaign configuration you will get the most accurate wind direction data available on the market today. Guaranteed! M.O.E as an accredited IEC/ISO 17025 test lab was requested by Kintech Engineering to carry out a thorough validation with respect to the Geovane accuracy. 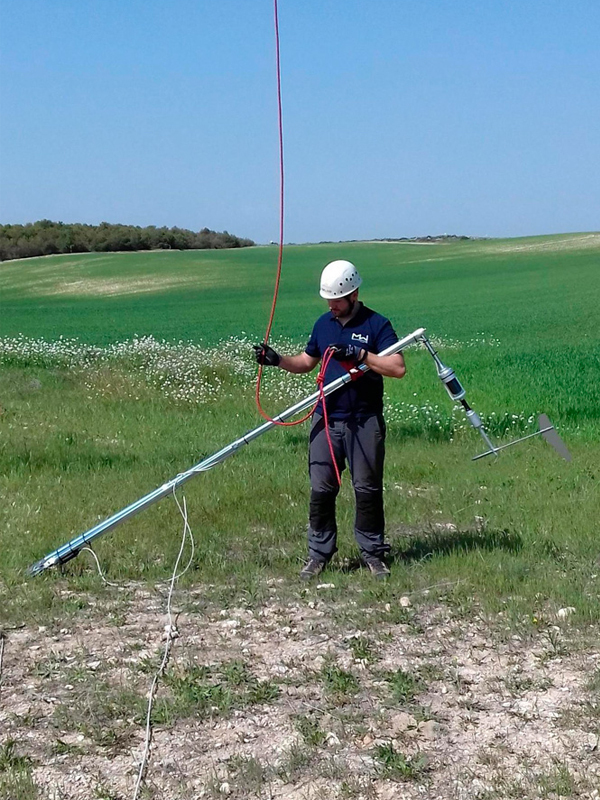 The tests prove that the Geovane allows to consistently determine the true orientation of a wind vane with an uncertainty less than 1º. How is the wind vane’s offset obtained at night or when the weather is cloudy? In the abscense of sunlight, the Geovane will keep the latest valid data obtained since it was powered on. As soon as it receives sufficient radiation from the Sun, Geovane will update its orientation output. This temporary “pause” does not imply any inconvenience due to the nature of the data. Does the Geovane provide an offset figure or is it mechanically adjusting the unit it is installed on (e.g. the wind vane)? Assuming that the Geovane has been properly aligned with the wind vane by means of its built-in laser, the Geovane will then continuously provide the angular wind vane offset with respect to Geographic North. The user should then apply this offset in the post processing of the dataset. Can I use the Geovane with any data logger? What wind vanes are compatible with the Geovane? 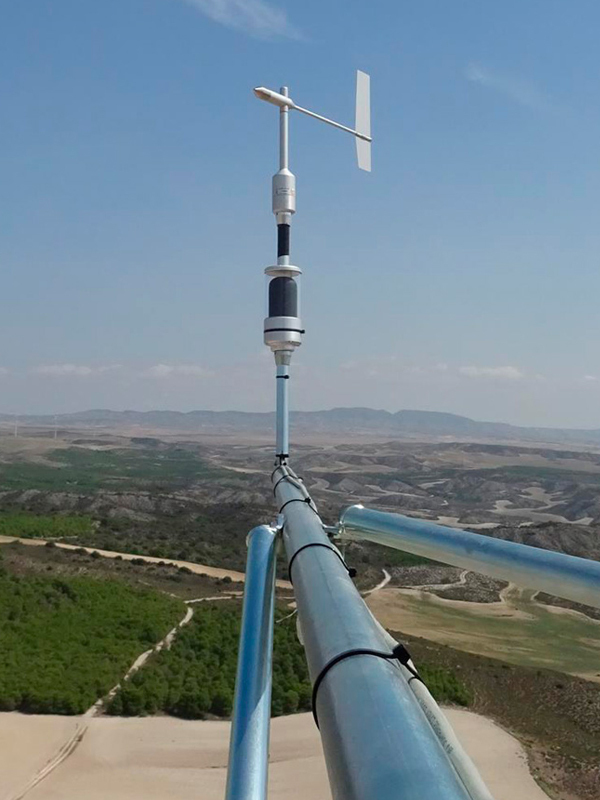 At the moment, the wind vanes compatible with Geovane are: Thies First Class, Thies Compact, Young Wind Monitor, Young Wind Monitor Alpine, Vector W200P, NRG 200P and Ornytion 207P. In the future, it will be possible to extend compatibilty even further. What is the geovane_turbine application? The Geovane_turbine application offers the exact orientation of the turbine’s nacelle with respect to True North. Aligning all your wind turbines to the same angular reference point enables the wind farm operator to compare yaw turbine alignments. This means that all the turbine yaw encoders in any given windfarm now have the same reference point. The Geovane_turbine application is specifically developed for turbine alignment and includes ad hoc hardware and software. It is used as a portable instrument, carried by the O&M team from one wind turbine to another offering once-in-lifetime corrections per turbine. What is the geovane_metmast_verification application? 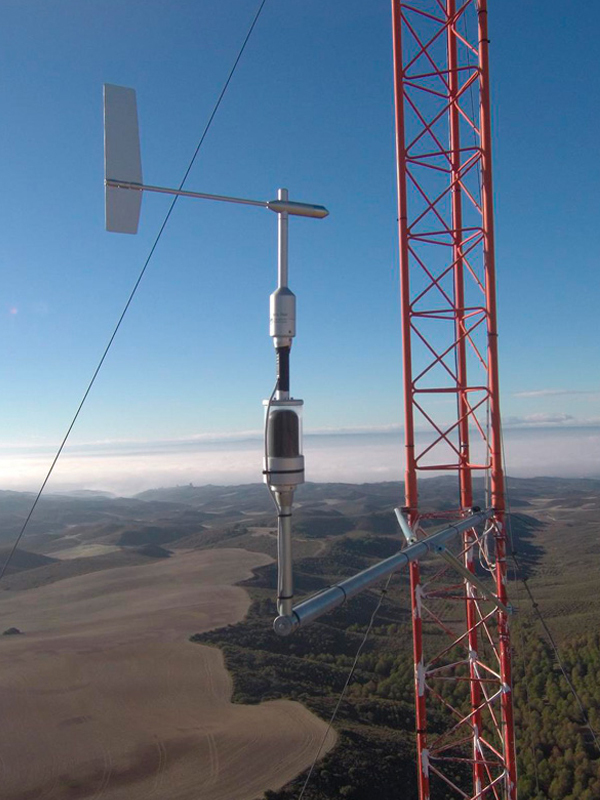 By adding a new wind vane equipped with a Geovane to an already existing met mast, you are able to correct existing wind direction datasets whitout altering the consistency of previous wind vane measurements. 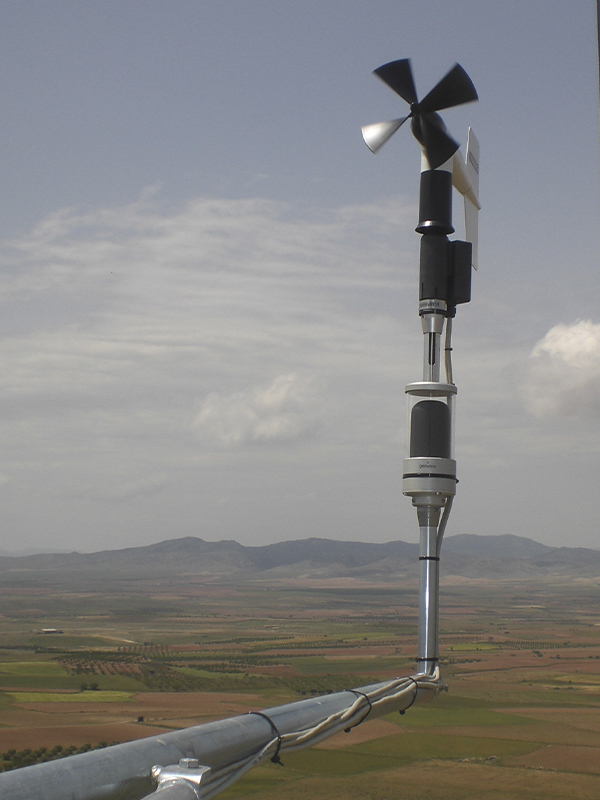 What are the advantages of installing a Geovane from the beginning of a wind measurement campaign? If the Geovane is installed from the beginning, it is possible to have wind direction datasets inmune to the torsion of the tower structure or bended sensor booms. Throughout the measurement campaign, the Geovane will provide the updated offset, achieving absolute accuracy and greater guarantees to external auditors and financial investors. Is there any preferred orientation or recommended position when installing a Geovane onto the sensor boom? No. Any orientation can be used, since the azimuthal Field of View (FOV) of the Geovane is 360°. The Geovane should obviously be perfectly aligned with the e.g. wind vane (see the user manual how to do this). What are the advantages of using RS-485 digital communication over analog ouputs? A Geovane connected via RS-485 can be used as the GPS module for data loggers and RSD without GPS by default.